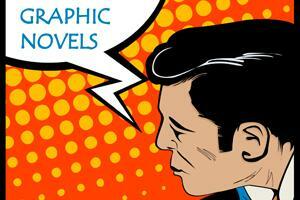 Over the past decades, artists and writers have published a huge number of graphic novels dealing with a myriad of themes. The genre contains anything from horror and science fiction to love stories and autobiography, but you need to have a new toolbox to analyse the texts because they contain both words and pictures. Our book Getting Graphic gives you this toolbox as well as a selection of texts to work with. This page links to a few subpages for Getting Graphic as well as some supplementary material.